BOSS carrying bags are now available for the GT-100 Amp/Effects Processor, GT-1 Guitar Effects Processor, and ME-80 Guitar Multiple Effects. Each bag features premium materials and ultra-rugged construction, plus a side pocket for accessories and an internal divider for storing a power supply. BOSS guitar processor bags are stylish and durable, and feature an internal divider for storing the unit’s power supply. These rugged new covers will help keep your BOSS amps and cabs looking new. They’re made with a durable polyester exterior and sized for a perfect fit. Covers are available for the current Waza and Acoustic Singer models, and select models in the Katana amplifier series. Katana and Acoustic Singer amp covers feature an embroidered BOSS logo, while Waza amp covers have an embroidered Waza Craft logo and Waza symbol. Waza covers also feature an internal foam layer for extra protection. BOSS Katana amp cover (left) and Acoustic Singer amp cover. 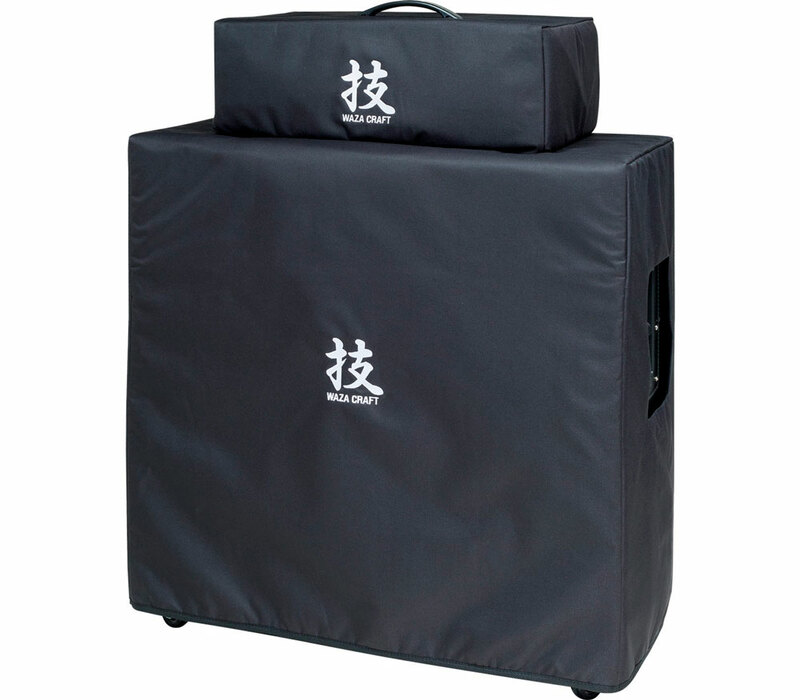 Custom covers are available for the 150-watt and 75-watt Waza heads, as well as the 4×12 and 2×12 Waza cabs. Share your love of BOSS pedals with these cool new T-shirts, which offer original designs that feature the SD-1 Super Overdrive, DS-1 Distortion, and MT-2 Metal Zone. Made with soft 100% preshrunk cotton and available in small, medium, large, XL, and 2XL sizes. Explore our entire lineup of music accessories at the BOSS website.